You can’t get more simple than a hunk of cheese between two pieces of toasted bread. Still, chefs around the country have been experimenting in the kitchen for years, looking for ways to create the best grilled cheese sandwich possible. In honor of National Grilled Cheese Sandwich Day today, April 12, 2018, MONEY sought out the best grilled cheese sandwiches in the country—those that go well above and beyond the basic Kraft-slices-on-Wonder-bread recipe. We partnered with Yelp to find the eateries with both the highest ratings and ample positive reviews that mention “grilled cheese” to develop the following ranking; the winners included a sophisticated truffle grilled cheese sandwich, a spicy variation with pulled pork and habanero pepper, and even melted cheese inside of a waffle. Here’s where you can find the best grilled cheese sandwiches across the U.S.
Justin Hiel didn’t expect Porky’s Kauai to be more than a hot dog stand when he quit his job in 2015 to set up shop in Hawaii. Porky’s has since opened two new trucks, was featured in Yelp’s top 100 places to eat two years in a row, and will open a standalone cafe this year. “It’s been a crazy four and a half years,” Hiel told MONEY. Though the Porky’s staple item is its pineapple infused pork, the grilled cheese sandwich has also become a fan favorite. Hiel credits his wife as the mastermind behind the $9 grilled cheese sandwich, which combines havarti and Muenster cheese with a double layer of slow-roasted kalua pork, topped with Porky’s signature BBQ sauce. Waffle Love started as a Utah-based food truck, and is probably most famous for its run on the sixth season of the Food Network show “The Great Food Truck Race.” Yet the company opened its Northridge outpost as a brick-and-mortar eatery last year, serving both sweet and savory creations. 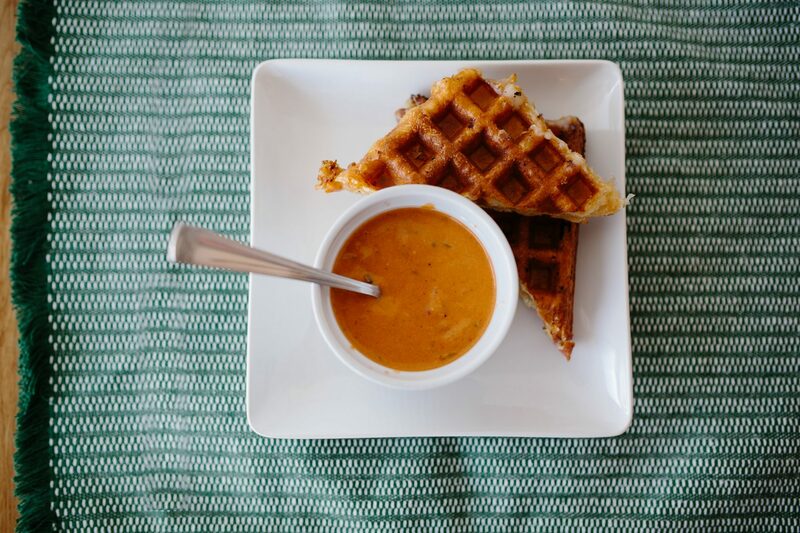 Its “Grill Cheese” sandwich ($10.41) and consists of muenster and provolone cheese sandwiched between two waffles spread with garlic butter—and served with a side of tomato bisque. This Lynchburg eatery may be a BBQ joint, but it serves up a top-rated grilled cheese sandwich as well, according to Yelp reviewers. Started in 2012, Barrel House BBQ delivers traditional grilled cheese and then some. 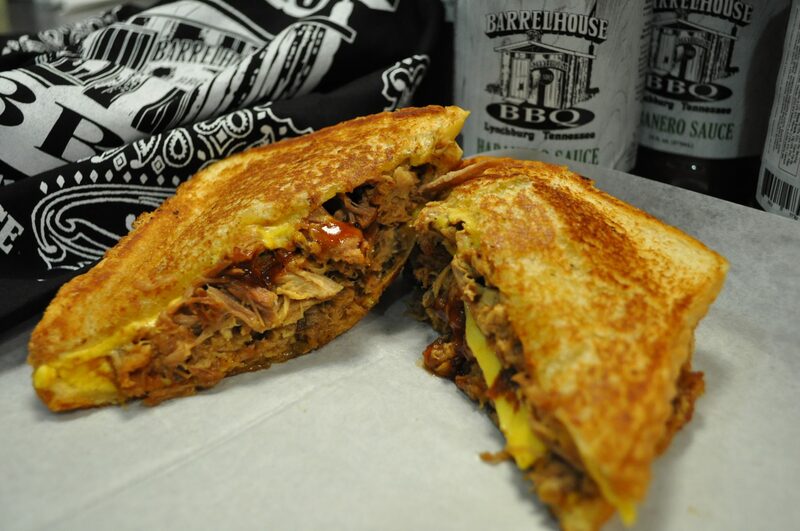 Its “Grilled Cheese on Crack” variation ($6.99) includes pulled pork, American cheese and a habanero sauce. Barrel House also serves up a “Grilled Cheese Crack Jack” version as well, with Pepper Jack cheese. For those who might worry, the menu notes that no actual crack is used in the making of these sandwiches: They’re just so good they’re addicting. Mr. & Mrs. Bun specializes in Peruvian-inspired classics with an American twist. 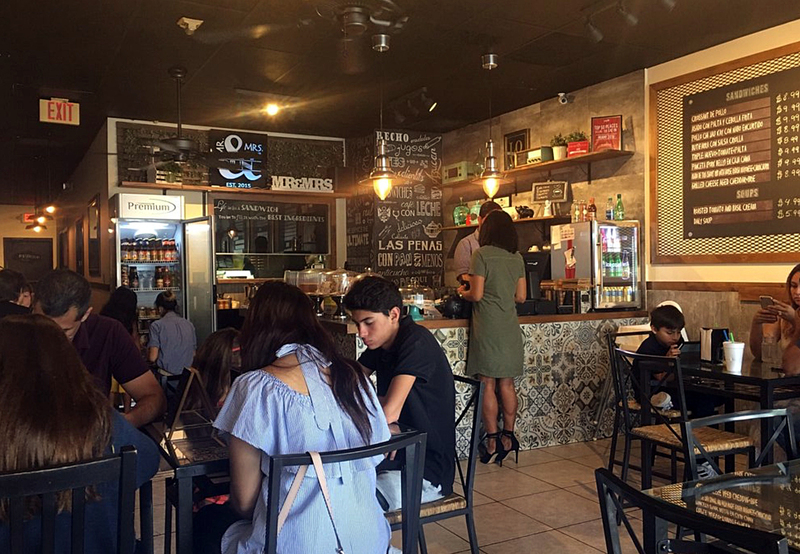 The sandwich shop’s owners moved from Peru to Miami about 15 years ago, and found themselves working long hours at chain restaurants to save up for their wedding. After the couple finally had enough funds, however, they nixed the wedding for something much more thrilling: opening up their own business. 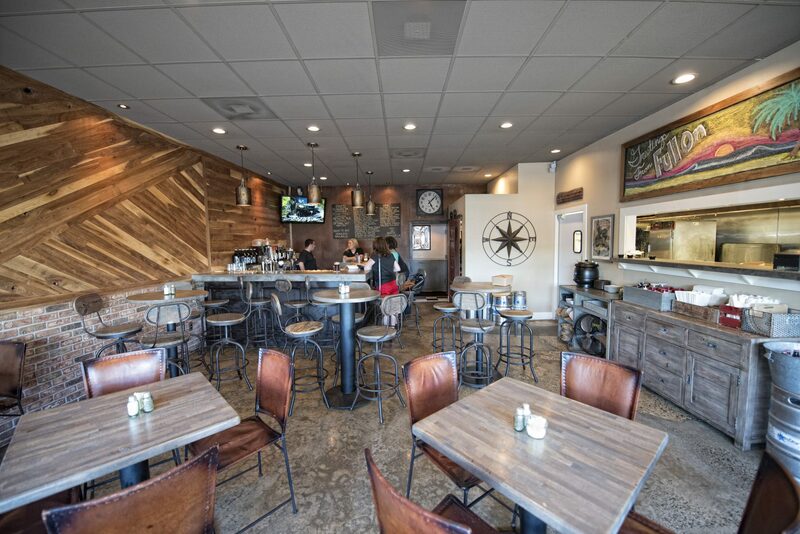 The sandwich shop opened just three years ago, and in 2016 Yelp named it the best restaurant in Florida. The grilled cheese with cheddar and brie on garlic butter bread sells for $8.99, though you can also try Peruvian-inspired dishes like the Empanada de Aji de Gallina for $5.99. 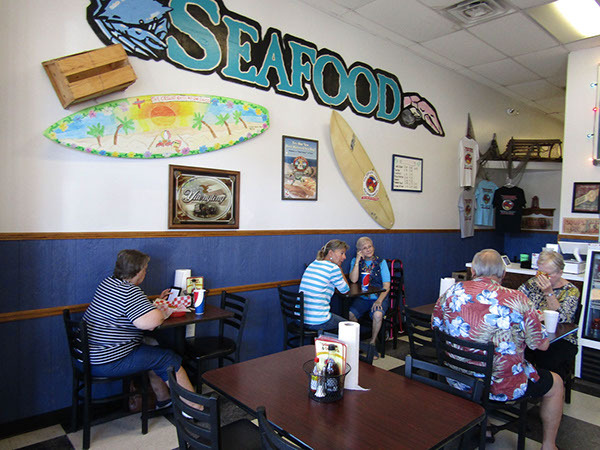 • Location: Murrells Inlet, S.C.
Less than 10 miles south of Myrtle Beach, the Grilled Cheese & Crab Cake restaurant serves up nine different grilled cheese sandwich varieties—including one topped with fried lobster and another with oysters. If it’s your first time, go for the “CrabMelt” sandwich ($9.95), a local favorite that features a Maryland crab cake, tomato and Monterey Jack cheese sandwiched between two pieces of grilled Texas toast. 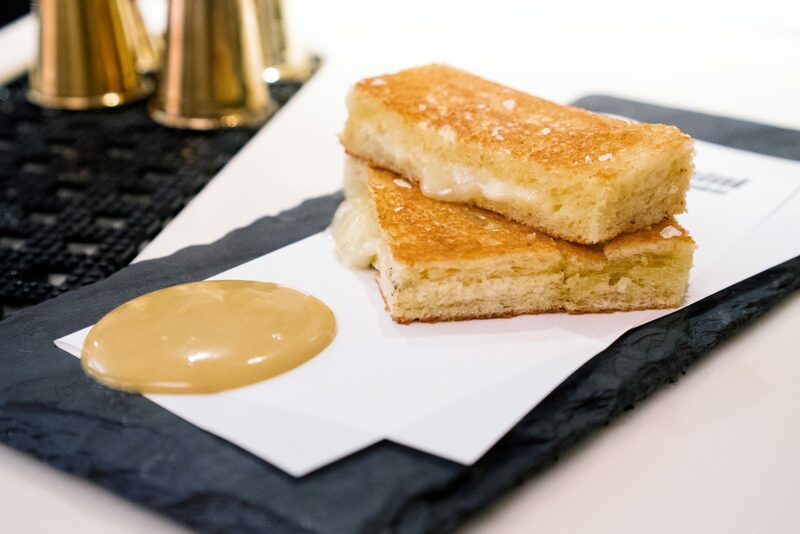 Perhaps the smallest sandwich on the Yelp list, Barmini‘s variation on grilled cheese is served as a bar snack alongside the award-winning cocktails crafted by celebrity chef José Andrés. The grilled cheese is reportedly made with Valdeon blue cheese, Brie, white cheddar, Bonne Bouche, and truffle cheese, and served alongside honey mustard. Barmini doesn’t post its menu online and would not respond to multiple MONEY requests for the price of the grilled cheese, but its bar snacks typically range from $5 to $16. Some grilled cheese sandwiches have a humble feel, but not the version at 3 Arts Club Café. Diners can eat their $17 Truffle Grilled Cheese sandwiches in a tree-filled courtyard beneath a massive chandelier. 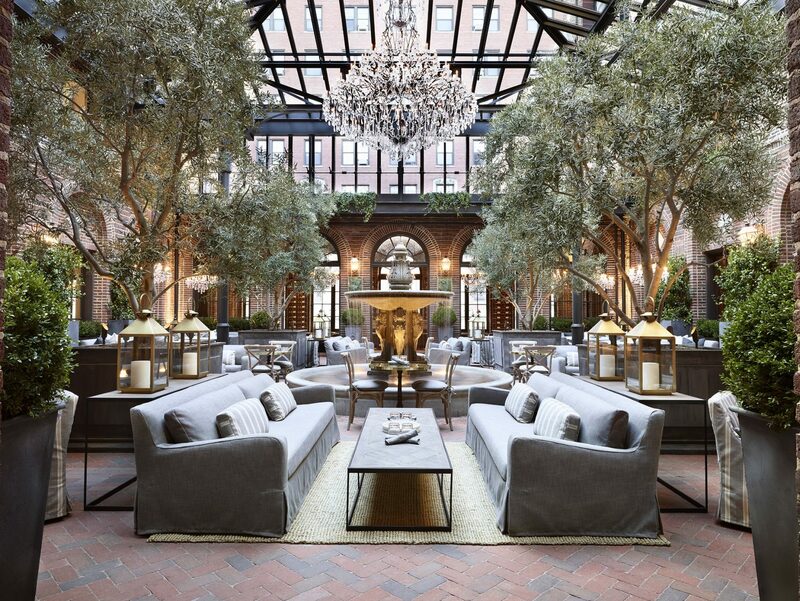 The restaurant is actually located inside a Restoration Hardware furniture store, meaning even the luxurious sofas you sit on are for sale. Despite its high price, the sandwich is a relative bargain for the setting. Most of 3 Arts Club’s other entrees are around $20 to $30, and the bar offers $314 bottles of Dom Pérignon. 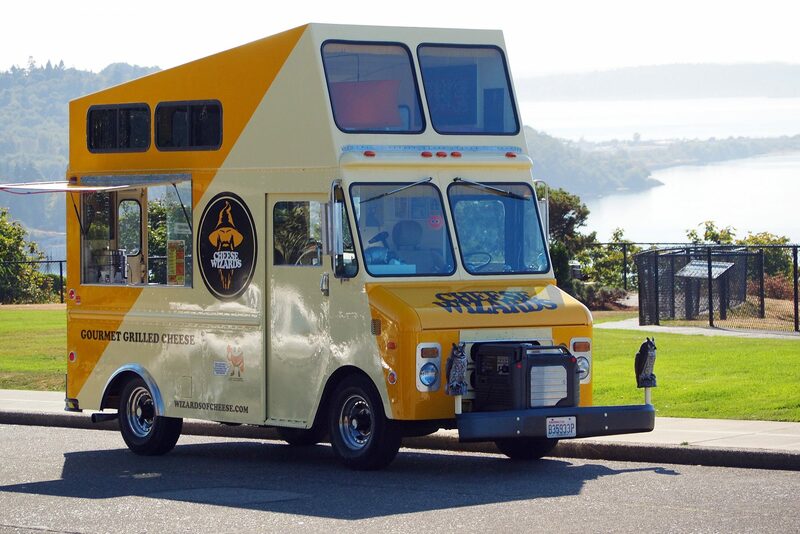 The fantasy-themed food truck Cheese Wizards specializes solely in grilled cheese sandwiches. Brothers Tom and Bo Saxbe opened for business about six years ago, and since have expanded beyond a truck to an actual café in Seattle’s Queen Anne neighborhood. Their company was also the first in the city to open a charitable food truck, where all the proceeds go to local hospitals and philanthropies. The whimsical sandwiches include the Voldemortadella—named after Harry Potter’s archnemesis and made up of provolone, mozzarella, cream cheese and mortadella on an herbed olive muffuletta. Other sandwich options include the Goblin King, the Cheese Wizard and the Forest-Lord. For $9.75, you can get either a sandwich with a side of salad, or half a sandwich and a tomato basil “power-up” soup. This Maryland sandwich joint holds nothing back when it comes to its craft sandwiches, creating each from scratch—including all the meats, which staffers “braise, season, marinate, rub, and roast” on site. Full On Craft Eats & Drinks has over 20 sandwiches on the menu, as well as wings that were voted best in Maryland. Of course, Full On’s grilled cheese is anything but basic. The Crab Cake Grilled Cheese ($14) is built on a challah bun and has a Maryland style crab cake, along with plenty of cheddar and pepper jack, as well as a tomato, and is topped off with a remoulade sauce. Billing their offerings as “Not Your Average Grilled Cheese,” Gracie’s on West Main Cafe offers up seven different varieties, including a very cheesy Philly Cheesesteak sandwich. Check out Gracie’s Bacon Jam Grilled Cheese ($11)—grilled sourdough with bacon jam and cheddar and American cheese. 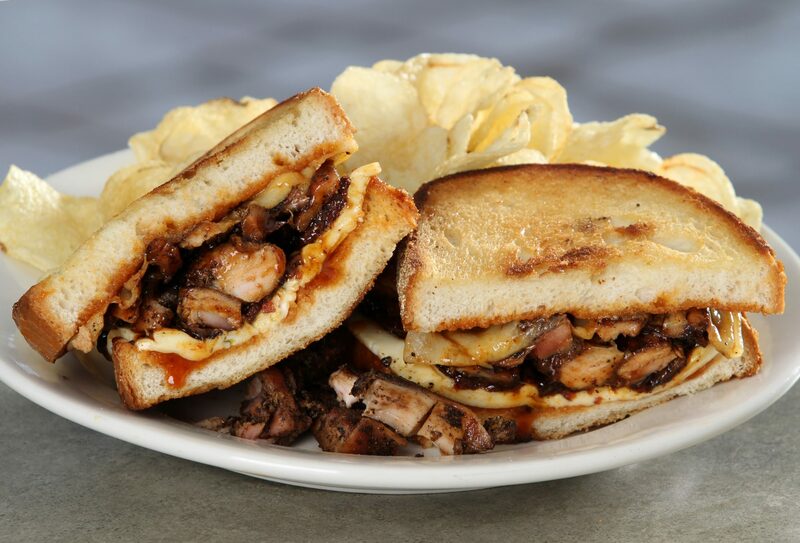 Or, go for broke with the cafe’s Blasian Chicken Grilled Cheese ($12). 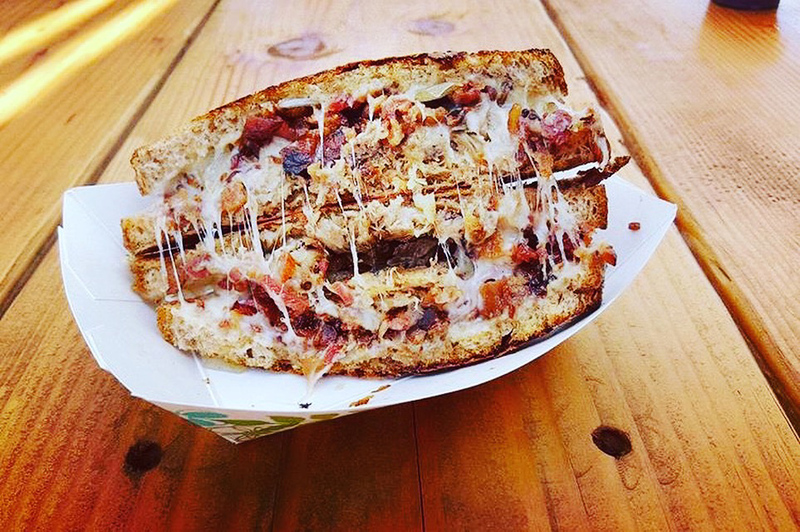 Built on a foundation of grilled sourdough, the sandwich features smoked chicken, sweet garlic chili bacon, and “blasian” sauce,” as well as two types of cheese: pepper jack and sharp cheddar. MONEY partnered with Yelp to find the best restaurants serving up grilled cheese sandwiches. Yelp identified businesses in the restaurants and food categories with a significant number of reviews mentioning the word “grilled cheese,” then ranked those spots using a number of factors including the total volume and ratings of reviews mentioning that keyword. To ensure the geographic diversity of the list, we included only one business per state.